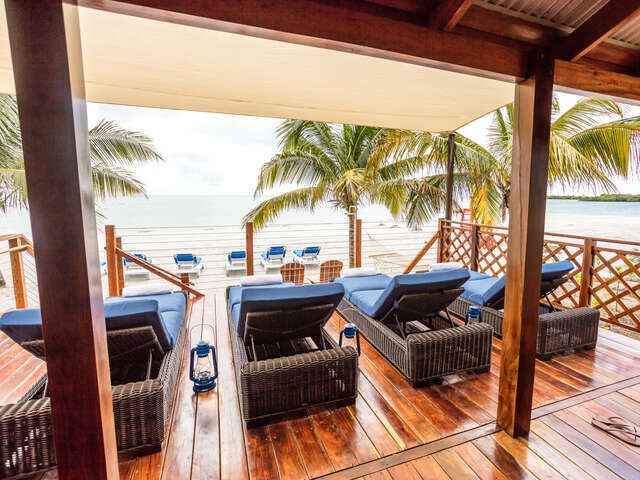 Spectacular, resort-style port of call showcases authentic Belize and offers eco and wildlife adventure for cruise travelers on Norwegian Cruise Lines, Regent Seven Seas Cruises, and Oceania Cruises guests on Western Caribbean itineraries. Belize is one of the hottest Caribbean destinations, and now, cruise travelers have a new port of call to explore the best of Belize. Harvest Caye is an island a mile offshore mainland Belize, developed by Norwegian in collaboration with Belize. The development preserves and improves the native eco-system, uses indigenous, responsible hardwoods in the buildings, and is creating 500 direct and 1500 indirect jobs for the local economy. We can't imagine having just one day in Harvest Caye. There's a 7-acre pristine beach with white powder sand and crystal clear waters. You can relax in clamshell tents or in one of the luxury beach villas with porches over the water, hammocks, dining and beverage options and dedicated concierge service. Or head to the pool. An extravagant 15,000 square foot oasis with a swim-up bar and tables in the water, elegant lounges and canopy pool cabanas with beverage service. One of the several dining options is an expansion of Norwegian's partnership with Jimmy Buffett's Margaritaville ®: the 2-story indoor/outdoor LandShark Bar & Grill. The 130 foot tall 'Flighthouse' is the island's point of departure for adventure: you can burn off that pina colada trying the 3000 foot zipline, trekking across suspension bridges, free fall jumping, or trying the ropes course in the saltwater lagoon. Don't stop there. There are also eco/ water sports like kayaking, paddle boarding, and canoeing in the lagoon alongside the wildlife. The Shopping Village, with its outdoor art festival, local musicians and dancers, high-quality local retailers of locally made chocolates, spirits and artwork including local woodwork, also features street-style Belizean cuisine for that truly authentic local flavor. 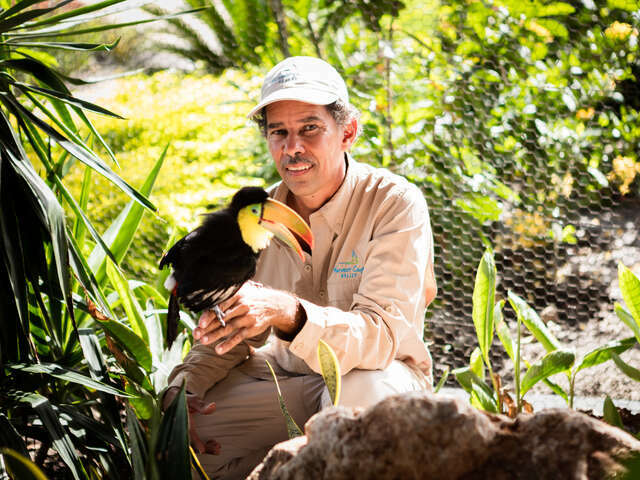 Harvest Caye's conservation programs and education efforts have been developed by award winning author and wildlife expert Tony Garel, Harvest Caye's Chief Naturalist, who will lead many of the island's tours. Wildlife interaction includes manatee observation tours, interactions with endangered Scarlet Macaws and Toucans, Belize's national bird, a Butterfly Garden, and indigenous reptiles like boa constrictors. The island houses a Scarlet Macaw breed and release program, and more than 15,000 new mangroves have been planted to increase the natural estuary habitat for birds, fish and other marine species. Harvest Caye also serves as a gateway to spectacular eco and cultural adventures in mainland Belize. Guests depart from its marina for a wide variety of shore excursions including spectacular Mayan ruins, river rafting, nature tours and more. 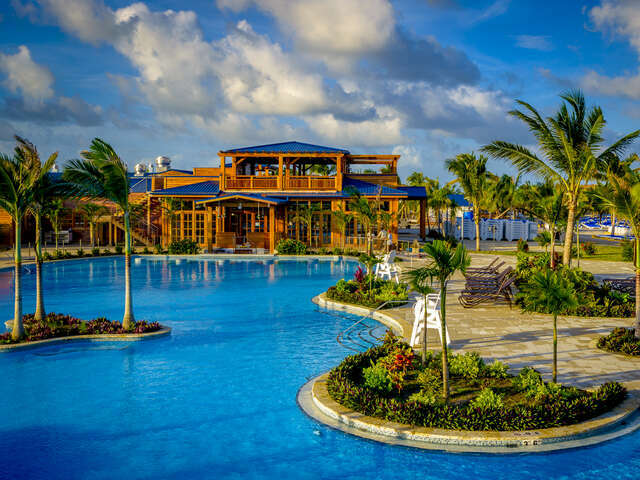 Guests sailing on Norwegian Cruise Line’s Western Caribbean itineraries, as well as on select Caribbean sailings on Regent Seven Seas Cruises and Oceania Cruises in Winter 2017 and Fall/Winter 2018 will have the opportunity to be among the first guests at Harvest Caye.